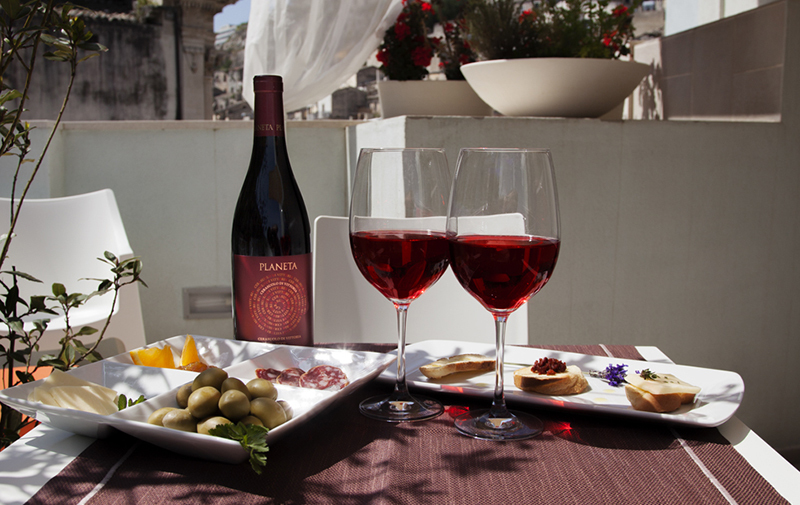 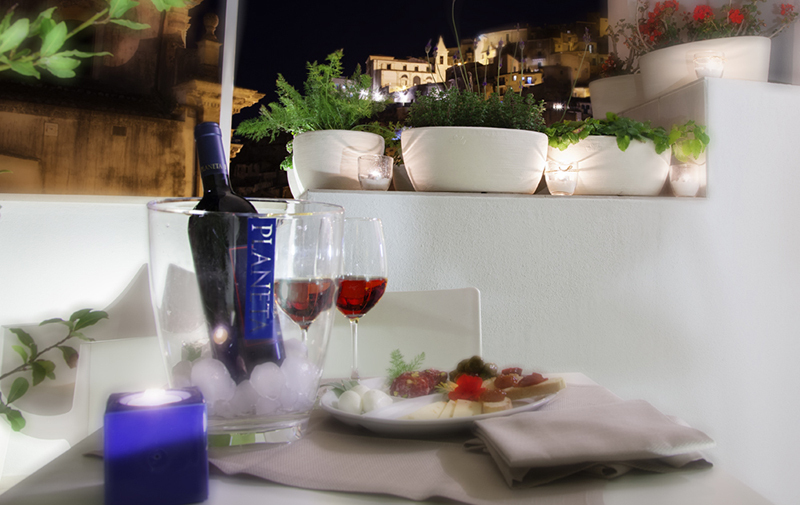 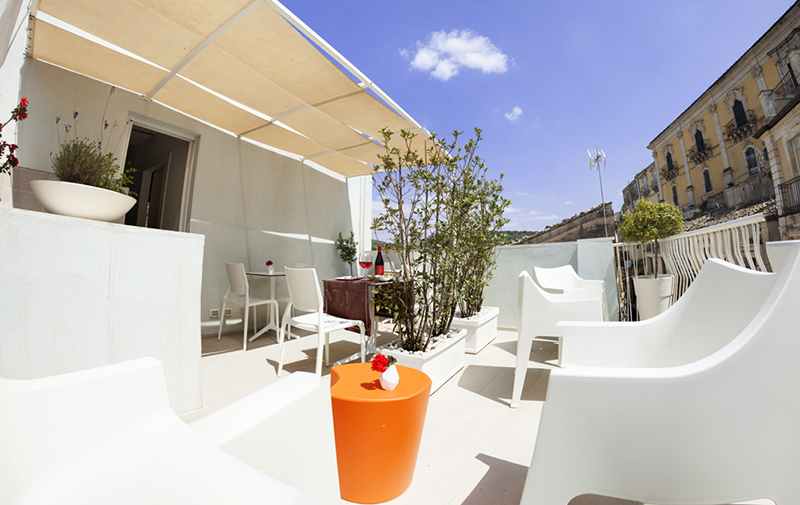 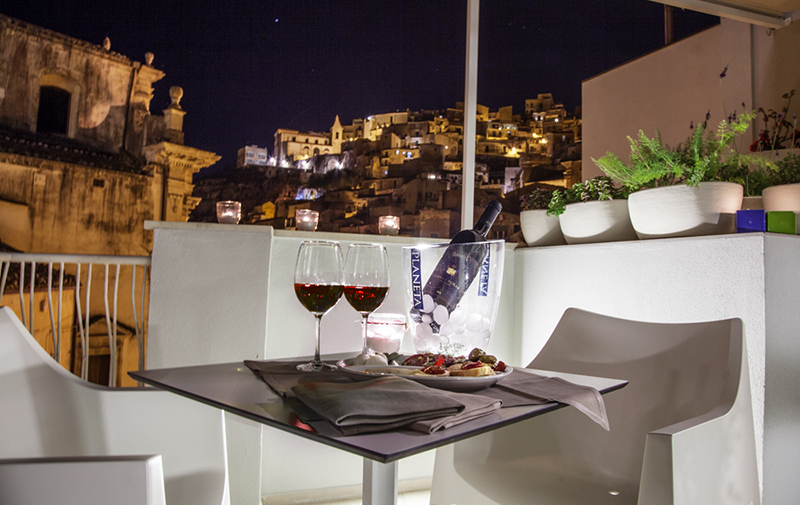 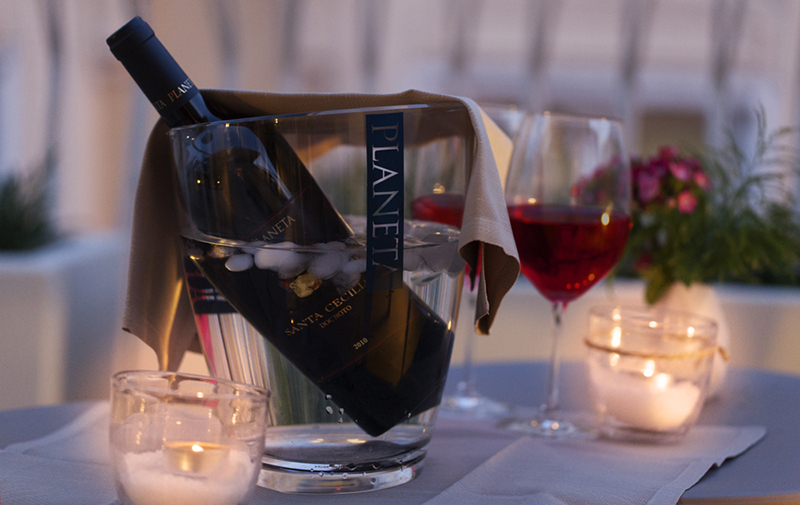 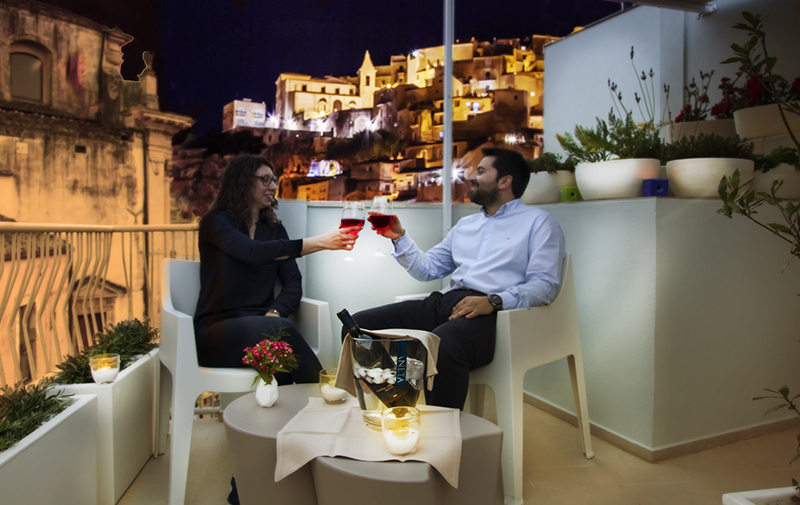 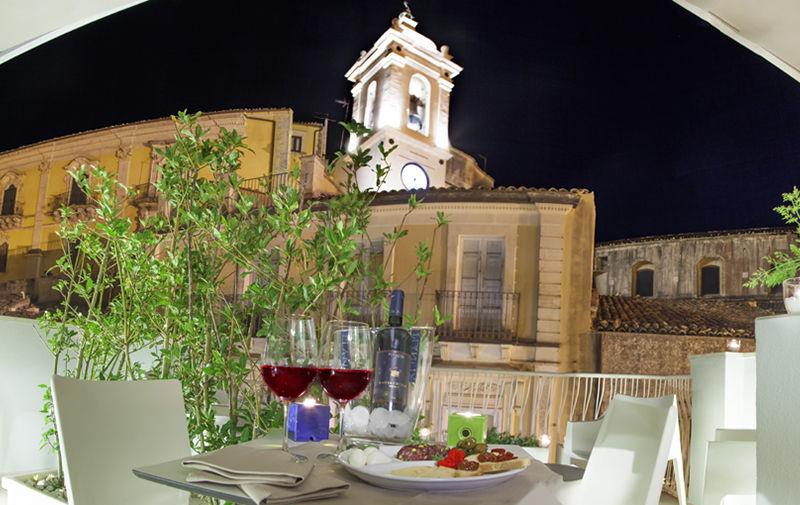 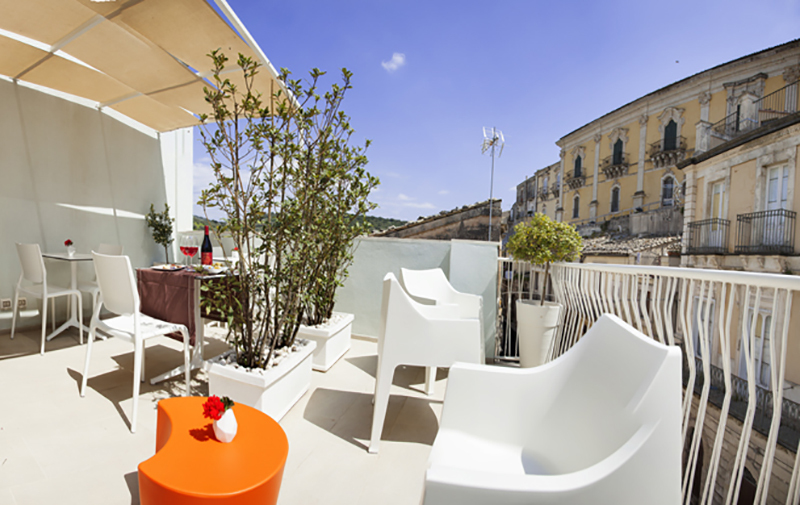 The diamond of Ibla Resort is without doubt the Roof Garden, a panoramic terrace that offers to visitors a beautiful view of Ragusa Ibla. 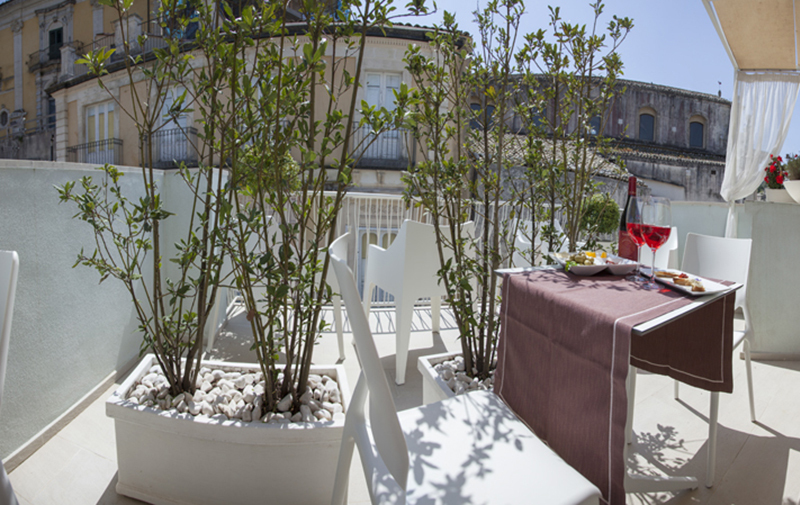 The space arranged for the Roof Garden follow the same lines of the Resort, a particular of attention to details consecrates it as an ideal place to enjoy the enchantment of the Hyblean Landscape. 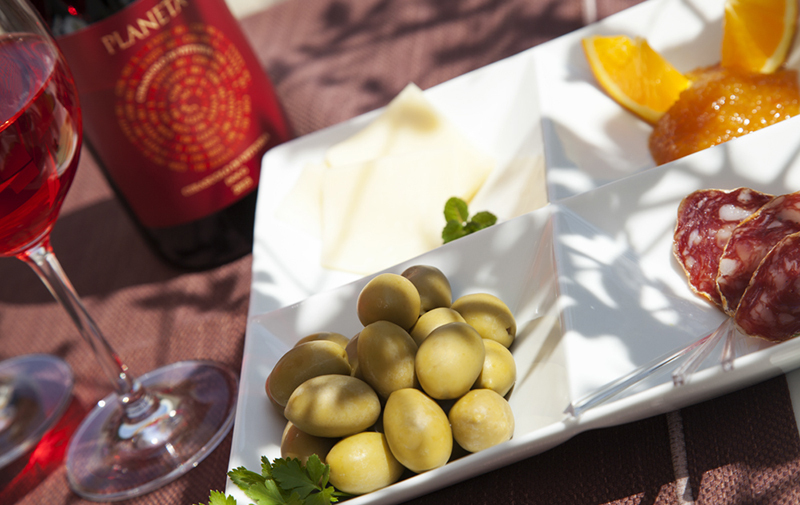 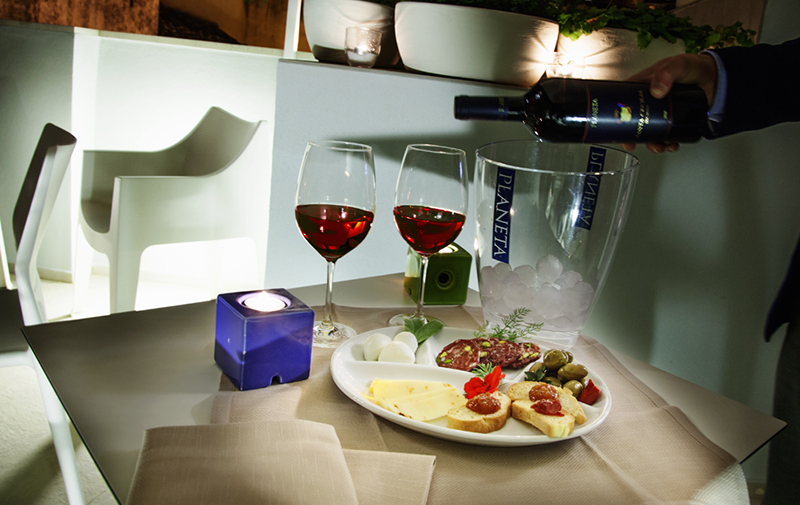 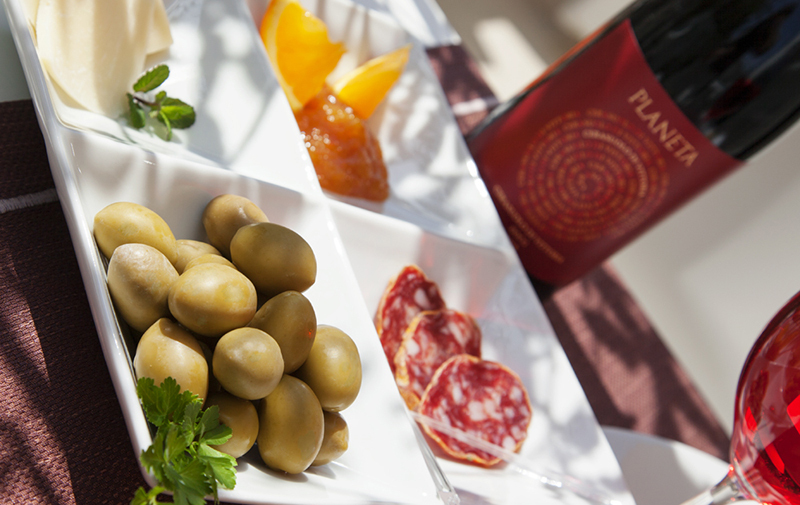 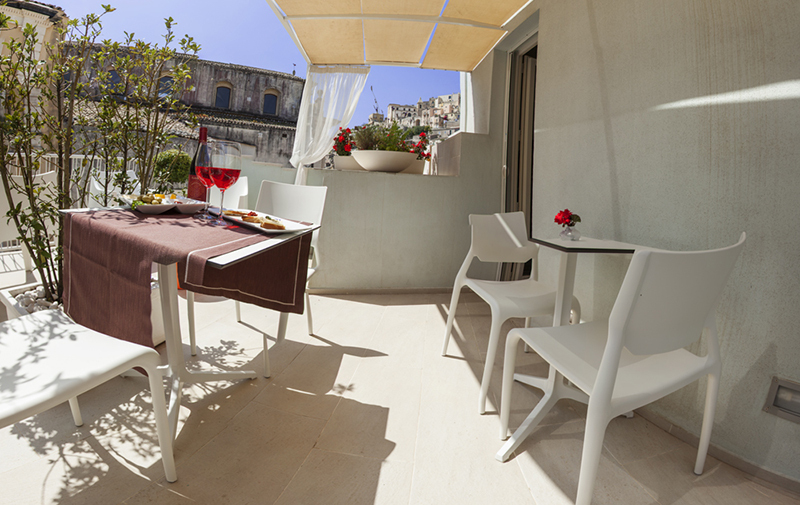 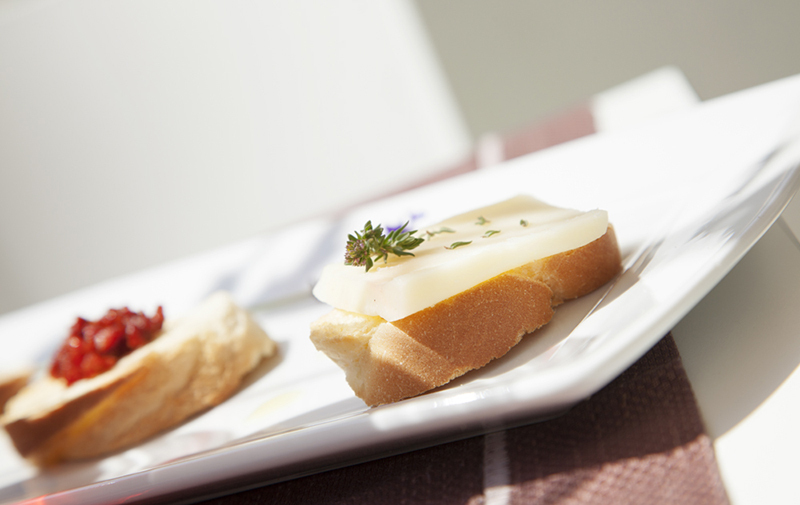 Roof Garden is also used during the beautiful season for the most important meal of the day: Breakfast, that will be arranged to allow guest to admire Ragusa Ibla at the first light of the day and to taste the best raw food materials of our territory.